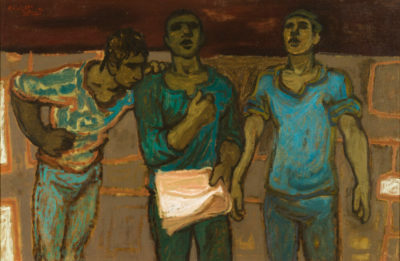 Avel de Knight (American, 1923–1995), The Rehearsal, 1955, oil on canvas, 33 x 45 in. © Estate of Avel de Knight. Presented in conjunction with the special exhibition Constructing Identity.